Meet our ownership team. Ronnie is primarily responsible for the quality of work produced by the company; he personally checks all the jobs to ensure Empire is living up to its reputation and name. Quality, safety and appearance of the roof are standards which he is not going to compromise. Ronnie McGlothlin is a co-founder of Empire Roofing, a Commercial and Industrial Roofing company founded in 1982 in Fort Worth with affiliated locations in Austin, San Antonio, Houston, El Paso, Colorado, Tennessee, Florida, and Mexico. Empires core lines of business include: roof replacement, preventative maintenance, leak repair, roof budgeting and due diligence services. Empire Roofing is the number one commercial roofing provider in the Dallas/Fort Worth Metroplex. Ronnie is primarily responsible for the quality of work produced by the company; he personally checks all the jobs to ensure Empire is living up to its reputation and name. Quality, safety and appearance of the roof are standards which he is not going to compromise. In addition to his commercial roofing business, Ronnie served as President of Mid-West Roofing Contractors Association. He has been on the board for NRCA and Past President of NTRCA and RCAT. In 2005 he was presented the Businessman of the Year Award by the Ft. Worth Hispanic Chamber of Commerce, and received the Paul Harris Award in 2003. He is also Co-founder of Empire Disposal, which specializes in commercial waste removal. Ronnie has been in the roofing industry since 1974, with over 44 years of experience specializing in commercial roofing. He began roofing with his family business working as a laborer, foreman and superintendent. He feels giving back to the community is key to running a successful business, always treating people the way you would like to be treated. Ronnie has been involved in several community service projects such as donating and replacing the roof for All Saints Catholic School, VSA (in his home town of Albuquerque New Mexico) and has helped in several Habitat for Humanity projects. Matthew Kelley is a 32-year veteran; He serves as Executive Vice President of the company and Director of Sales. His Sales and Marketing expertise has been the driving force behind the exponential growth of Empire Roofing. He is currently responsible for all sales in Dallas/Ft. Worth and plays a big part in sales throughout all areas where affiliated Empire operations are located; throughout the U.S. and Mexico. Empire expects sales to exceed $160,000,000 in 2017. Kelley brings to Empire, a successful track record that includes high-profile projects and recognized sales achievements in the commercial roofing industry. As an industry leader, Kelley specializes in forming strategic partnerships with Empire clients and vendors, that add value to the customer/vendor relationship. In addition to fostering sales throughout the organization, Kelley dedicates his time to growing the next generation of Roofing Salesmen & Estimators. Much of his time is spent working with and developing future Empire leaders. Matt is also an original board member of NRP (National Roofing Partners) along with being a member of BOMA in Dallas, Ft. Worth, Austin, San Antonio, Houston, Florida, and Memphis, TN. In June of 2004, John Dollar joined Empire Roofing as president of the south-central and east Texas affiliated locations, opening markets for San Antonio and Houston. John has been in the roofing business since 1983 and has been a great addition to the Empire group of affiliated companies. He currently runs the Houston office and oversees their sales and production. John brings a unique set of skills that transcend the typical division between sales and operations. He made a significant impact on the Empire Roofing operation by increasing the company’s presence around the state, which is important to many clients who operate throughout Texas. John is an innovative leader who understands how technology plays into the strategic goals of an organization. Helping to drive innovation within the company, John is on the forefront of Empire’s technology initiatives. Dollar recognizes and responds to underlying industry technology trends, as an effective and proactive pioneer. In November 2007, Steve Pearce joined Empire Roofing as president of the Florida affiliate. Steve has been in the roofing industry since 1977. He started working at the age of 14 for a family roofing company on the weekends, after school and during the summer. He soon became an equipment operator and then a foreman. Eventually he went to work for a product distributor and later became an estimator/project manager. Steve’s experience encompasses comprehensive knowledge of the roofing industry. Steve has successfully completed projects throughout the United States. He has experience from jobs in New Hampshire, Vermont, Massachusetts, Rhode Island, District of Columbia, Texas, Louisiana, and Florida. He holds licenses in: Massachusetts (Construction Superintendent and Home Improvement Contractor), Rhode Island (Construction Superintendent) and Florida (Certified Roofing contractor). Steve has experience in Hurricane restoration having been involved in the aftermath of Hurricane Andrew (Miami 1992), Hurricane Katrina (New Orleans 2005), and Hurricane Wilma (Miami 2005). Steve has been the designated roof manager for a major REIT since 2004. He is a BURSI graduate and a member of FRSA (Florida Roofing and Sheet Metal Association), MRCA, and NRCA. Steve is also actively involved in: The Building Owners and Managers Association of Fort Lauderdale and Palm Beach; the Commerce Club of Fort Lauderdale; and is President Elect for 2010 for the Rotary Club of Pompano Beach. Ben Koonce began his roofing career in 1978 with Celotex Corp (roofing manufacturer) as a roofing projects sales representative and later became the Field Sales Manager for 16-states located in the Southwest Region. Ben furthered his roofing industry experience by becoming one of the owners of Pan-Am Distributing (a multi-location roofing distributor). Ben continued to advance his roofing career and knowledge, as the owner of Wind River Roofing in the DFW area for many years until he sold the business and became the owner of Quatro Venado hunting ranch in Throckmorton Texas. While there he was the President of the Throckmorton Wildlife Association and the President of the Throckmorton Hospital board. In 2009 Ben joined Empire Roofing as the Vice President of Operations for the Austin and San Antonio branches of Empire. In 2012 Ben became a partner at the Empire Roofing of Georgia location. As an industry leader in roofing operations, Ben helps lead the company towards the goals of high-quality installation and superior service. Since joining Empire, Ben has played a key role in virtually every company initiative. He is a proven and capable leader that is committed to building an engaging and productive workforce. Having over 50 years’ experience managing commercial roofing companies, Billy returned to the workforce from retirement in 2001 to establish the Empire Roofing Tennessee affiliate. His experience in all areas of the commercial roofing industry, and leadership in the Tennessee office has created another success story for the Empire Roofing family. 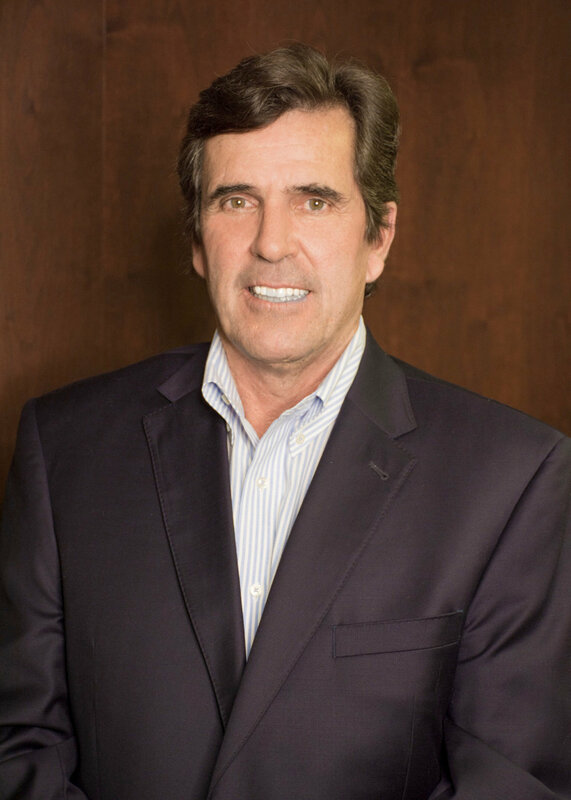 As past president of the Dallas Roofing Contractors Association, co-founder of the North Texas Roofing Contractors Association, and a past-president of the Texas Roofing Contractors Association, Billy is a respected industry leader. He has also served on numerous advisory boards, such as: Owens Corning Fiberglass Corp., Contractors Guide Roofing Magazine, and Memphis Regional Chamber of Commerce. Based on his reputation and expertise, Billy chaired the committee that produced the Comprehensive Technical Roofing Manual for the state of Texas. He also co-founded with other industry representatives (home builders, steel foundries, food processors, etc.) a national coalition to lobby for Occupational and Safety Hazards Administration reform with the support of Senator Kay Bailey Hutchinson. The coalition was successful when Senate Bill 592 by Senator Judd Gregg passed into law. In 1999 Billy was the recipient of the Curtis Blackwell Memorial Award for outstanding contribution to the roofing industry. With Billy’s leadership, Empire Roofing’s affiliate in Tennessee is an extension of the operation in Texas where the finest products are combined with the highest level of customer service, and everything is done right the first time.